1. Scanned a 21.1 inch REA at 18 months of age. 2. Road Block is a standout he is as thick made as you can make one, with a ton of look. 3. 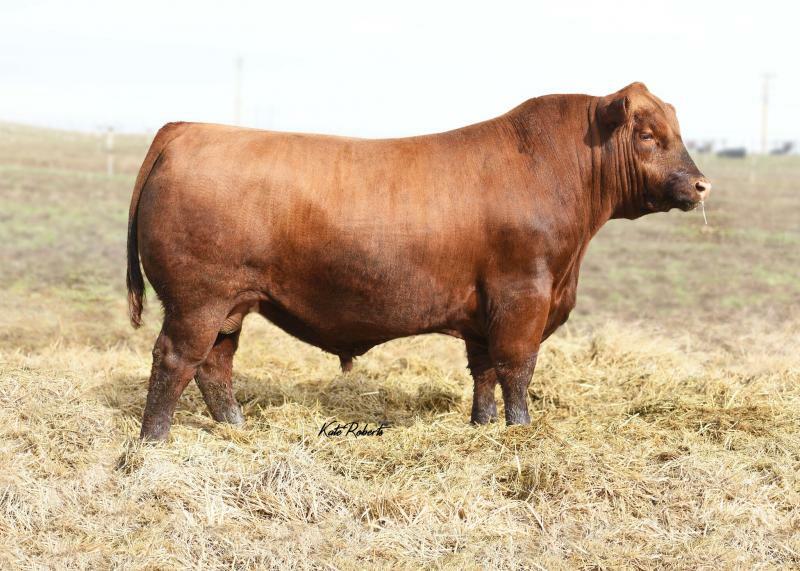 He was the high selling bull at the 2018 TJS RED ANGUS BULL SALE. 4. If you are looking to add phenotype and pounds, on a sound structure look no further ROAD BLOCK is the real deal.